Knowing the words of the four seasons in any language you want to learn can be really helpful as they are rather frequently used words. Korea has four very distinct seasons with a very hot and humid summer and a cold and windy winter. So if you are travelling to Korea, make sure to check the climate and pack appropriate clothes before departing. The best time to travel to, and in, Korea according to most people is during spring and fall because of the weather. But no matter what season you choose to go in, you are no doubt going to have a great time as they all have their unique qualities. Now mind you, this will be a rather short lesson but the purpose is just to introduce you to these few words. Notice the order! = Which season do you like? Naturally, you can switch out summer for whichever season you want. There is highly acclaimed Korean movie from 2003 by director 김기덕 with all the seasons in the movie title. 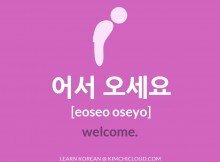 It’s called 봄, 여름, 가을, 겨울 그리고 봄. The English title is, as you might be able to read, ‘Spring, Summer, Fall, Winter…and Spring’. 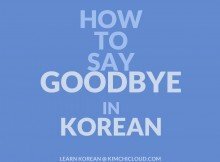 You might want to check it out if you are into K-movies. 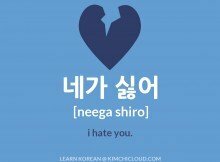 For more articles like this one, make sure to check out our Everyday Korean archive! 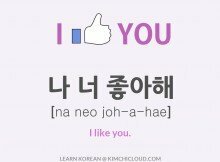 As usual we reocmmend that you learn hangul if you are serious about learning Korean if you haven’t already done so. It is much easier than you probably think and, believe it or not, it will only take you a few days to be able to read the entire alphabet. So what are you waiting for? Please like or share if you found this useful! And if you have any questions or something else on your mind, make sure to let us know by leaving a comment below and we will do our best to help you out! OMG, I’ve come to like your page so so muchh. 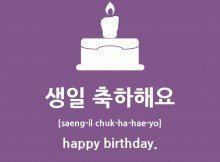 The best website to learn Hangul for beginners.